After blogging for nearly 5 years now, I’ve come across some handy little apps and sites that every blogger should use to really ace their content. I really love writing posts that will be useful for other bloggers, like The Ultimate Flatlay Props and How to Blog with a Full Time Job, so today I thought it was about time I shared some of the most useful tools I’ve come across. Tweetdeck. Scheduling tweets is something I’ve only fairly recently got into, but it can be super handy to help promote new and old blog posts throughout the day when you’d be busy otherwise to send out a tweet. Tweetdeck allows you to schedule tweets, photos and links and has no limit on how many you can do, unlike apps like Buffer. Buffer however does have a handy little schedule feature, so I do like to use this for the 10 free tweets you get too! Picmonkey. Picmonkey can do most of the basic photoshop editing techniques, like editing brightness and contrast with curves. Canva. Although I don’t use Canva for my editing, it is a really fun site to play around on. I’ve been using it recently to make content for my role as Media Secretary for my Universities Netball Society this year and it has so many useful templates and you can really do a lot with it. I’m definitely going to be using this when I make media kit in the future. Notes. Every blogger should use the notes app on their phone. I am always getting random blog ideas when I’m out an about, and I’ve learnt my lesson to write it down as soon as it comes to me! Bloglovin’. 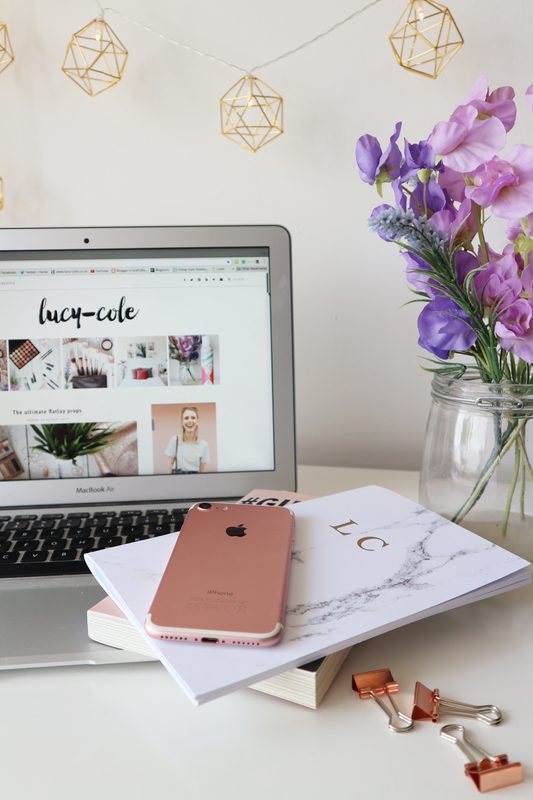 I’m sure most of you already use bloglovin’ – for me, it’s the easiest way to keep up to date with all my favourite bloggers. I also have the app on my phone so I can read all the amazing posts in my feed while on the go! Google Analytics. Again, this has an app aswell as a site so I use both. I think it’s important to keep track of your pages analytics, and although I don’t understand everything, it’s handy being able to see your daily pageviews and other useful little stats. There are loads of apps and websites I’ve come across, but these are the ones I’m using on a weekly basis. Hopefully this post can be useful to some of you! What useful apps and tools have you come across while blogging?